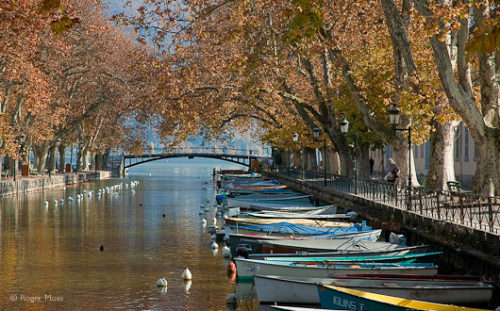 The stylish and dynamic lakeside town of Annecy seems to have it all. 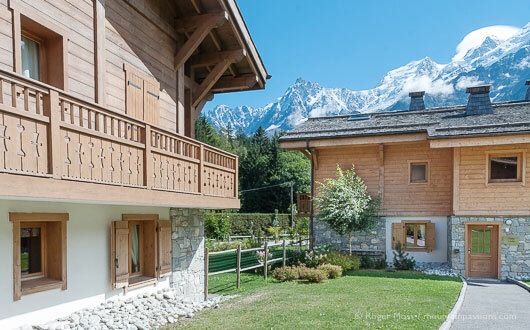 Perceived among the French as being just about the perfect place in which to live, its irresistible lakeside setting and proximity to top class ski resorts create a desirability factor comparable to that of somewhere like Geneva or Montreux. 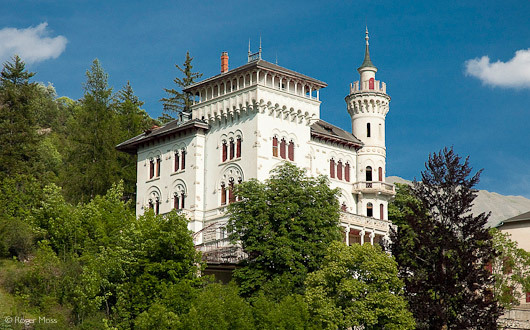 …the perfect place in which to live, with its irresistible lakeside setting and proximity to top class ski resorts. Not surprisingly, throughout the summer the sheltered lake is a popular setting for sailing and watersports, and the lakeside parkland also offers open spaces for walkers, joggers and cyclists. 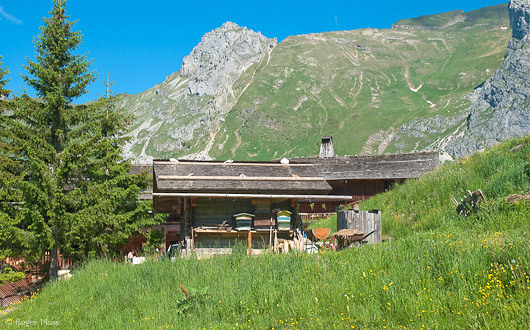 In summer months there’s even a bus service which transports mountain bikers to the nearby winter sports area of Le Semnoz (1700m) for a 20km descent back to the town. The town’s profile was raised considerably by its determined bid to host the 2018 Winter Olympics (it was shortlisted, but lost out to South Korea). It was a strong contender, for when winter closes in a mere half an hour’s drive is all it takes for Annecy’s weekend leisure skiers to reach popular Lake Annecy Ski Resorts like Le Grand Bornand and La Clusaz. 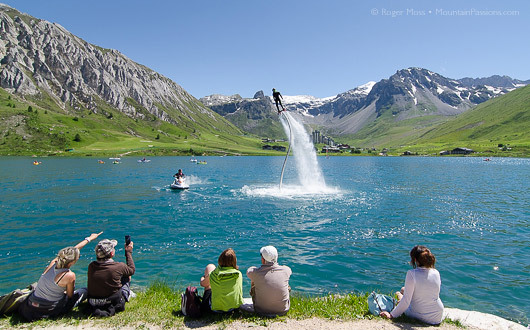 Water-based activities such as swimming, sailing and water-skiing and a safe lakeside cycle route of over 40km. 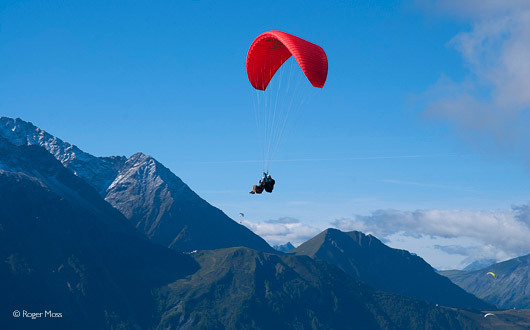 Mountain activities including hiking, mountain biking, via-ferrata, canyoning or paragliding. 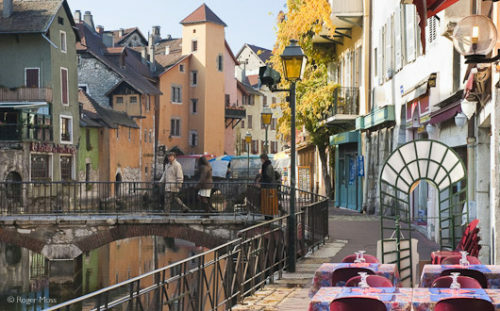 Annecy has been awarded the label “Ville d’Art et d’Histoire” in recognition of its historic and cultural interest and offers museum tours, chateaux, guided tours and exhibitions. 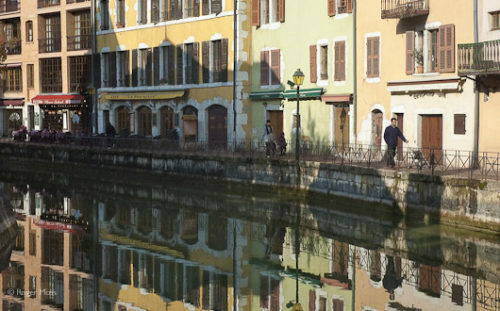 Not exactly, but like the real thing located considerably beyond the big mountains rising impressively at the far end of the lake, the ancient heart of Annecy preserves an abundance of medieval architecture penetrated by elegant quays and waterways. So the analogy promoted tirelessly by generations of tourism professionals is perhaps at least partly justified. 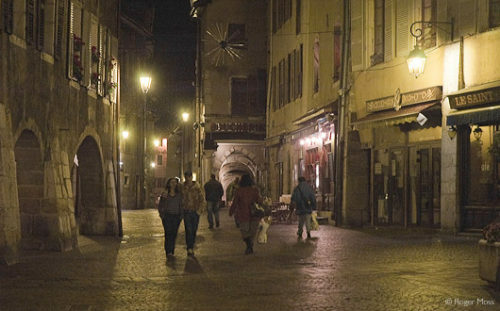 We really do mean ‘abundance’ – first-time visitors expecting to see a handful of isolated structures surviving here and there among later additions are stunned to discover virtually the whole of the old town looking and feeling (particularly at nightfall) much as it would have done centuries ago, when Annecy replaced Geneva as the capital of Savoie. The town remains visibly prosperous, beautifully restored and lovingly maintained, with daily life unfolding beneath the impassive gaze of a formidable 12-16th Century feudal chateau. These days it contains nothing more sinister than a museum dedicated to Alpine art (la Musée d’Art Populaire Alpin) and an Alpine lake observatory (l’Observatoire Régional des Lacs Alpins) documenting birds, fish and other lakeside life from prehistoric times, along with exhibits revealing the evolution of boats and lake fishing. In fact, it’s more interesting and relevant than it might sound. The 14 km long Lac d’Annecy is the cleanest big lake in Europe, with a history spanning thousands of years (archaeologists have found remains of a waterfront settlement near Annecy-le-Vieux dating back to at least 3100 BC). All of which makes Annecy feel like the very embodiment of the Alpine retro-chic style which in various forms has proved increasingly marketable in recent years, and for which enthusiasm currently shows no sign of cooling-off. Quite the reverse, in fact, as a combination of increased prosperity and a steady growth in activity holidays draws visitors back to the mountain regions of France long after the ski season has ended. When they leave they want to take a little Savoyard item or two back with them to keep the memories alive until their next visit, and catering for them are increasing numbers of designer boutiques and (on the last Saturday of each month) regular brocante and bric-à-brac markets. Not that the local economy is totally dependent on revenue from tourism, however welcome its contribution. For all its pervasive sense of history, Annecy (birthplace of the Carrefour Group) remains a vibrant commercial centre, thanks to the presence of companies like bearing manufacturer SNR Roulements and sports equipment giant Salomon, founded here in 1947 and still a major employer despite the company’s ski production having largely moved overseas. 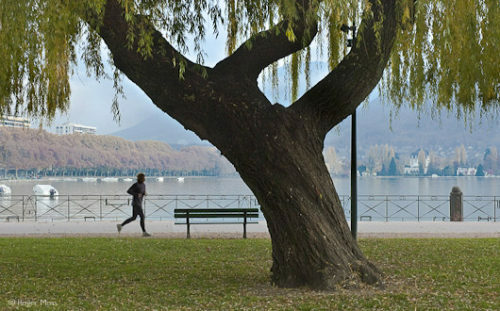 Adding to the term-time energy levels are around 11,000 students, some 4,500 of whom are based at the Université de Savoie’s campus in Annecy-le-Vieux. Despite having long been twinned with the Cotswold spa town of Cheltenham (plus Italy’s elegant Vicenza, among others) the name of Annecy remains relatively unfamiliar. 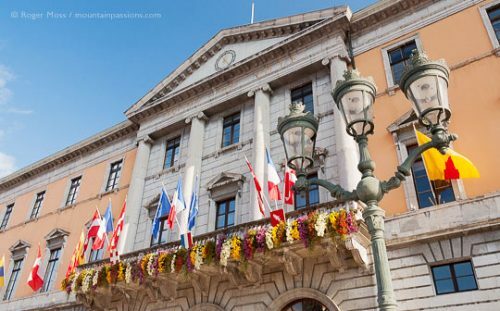 If the 2018 Winter Olympics bid proved unsuccessful, at least the world has been hearing a lot more about Annecy, and it seems highly likely that demand for property here will continue its relentless upward progression for the foreseeable future. Nearby ski resorts like Le Grand Bornand and La Clusaz already demonstrate steady capital growth, while rental incomes should follow suit – and the scope for good rental returns remains high in a university town itself, which regularly hosts international conferences, festivals and sporting events. By car Driving from the UK take the A40 Autoroute Blanche towards Geneva then the A41 (Liane) to Annecy. By train There are regular high-speed TGV trains from Paris to Annecy. There are TER connections from Lyon, Valence, Grenoble, Chambéry and Chamonix. At the station there are bus connections to anywhere around Annecy and the lake, taxi services and bike hire. By air Annecy is 50km from the international airport at Geneva where there are train and bus connections to the town, plus car hire.